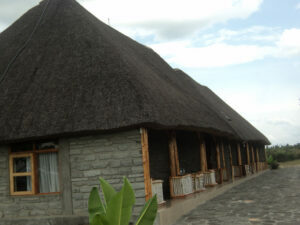 Craters are large, bowl-shaped cavities in the ground, typically one caused by volcanic explosion. 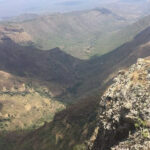 It is a result of volcanic up warping and down warping thus leaving a caldera that is later filled with underground water as explained by my guide Brydon. 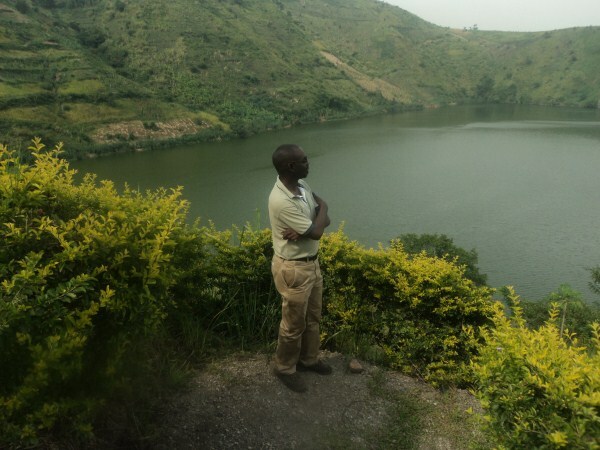 In Uganda there are several craters mostly in Kabarole District, Mid -Western Uganda . My holiday trip to these craters was such an exhilarating experience. There are over 25 crater lakes that can be visited. However the more exciting ones are the ones with lodging side by side on the crater rim. A stop over at the King’s palace was also another exciting cultural experience.The enthusiastic site guide welcomes you, ready to tell the cultural history of the kingdom. 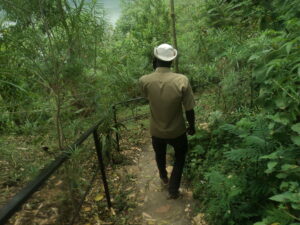 Nyamiteza crater lake was my first destination. This crater off Fortportal- Kasese road is such an exciting place for a holiday. The crater rim is surrounded with beautiful hills that makes it look more impressive. 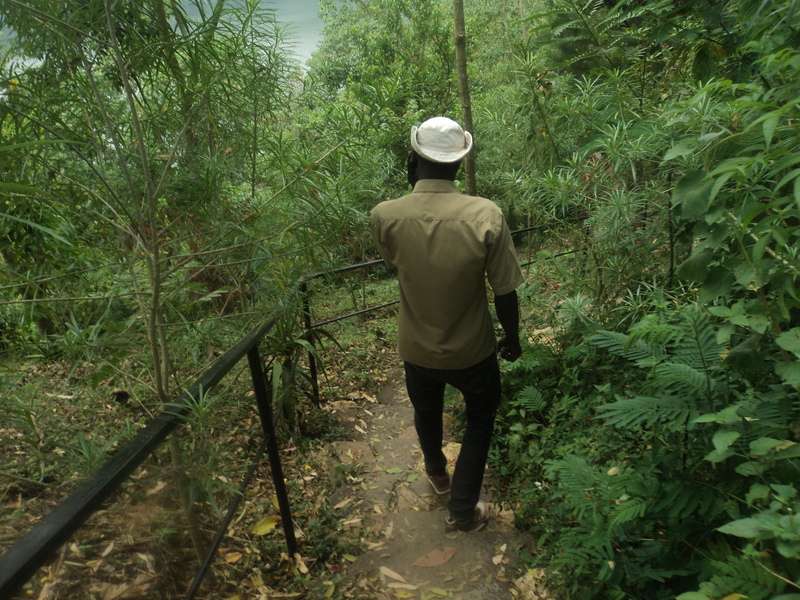 It is more exciting when you step further down about 80 metres to have a closer look of the crater. The lodge Bella Vista offers the right comfort for both the midrange and backpacker holiday maker. 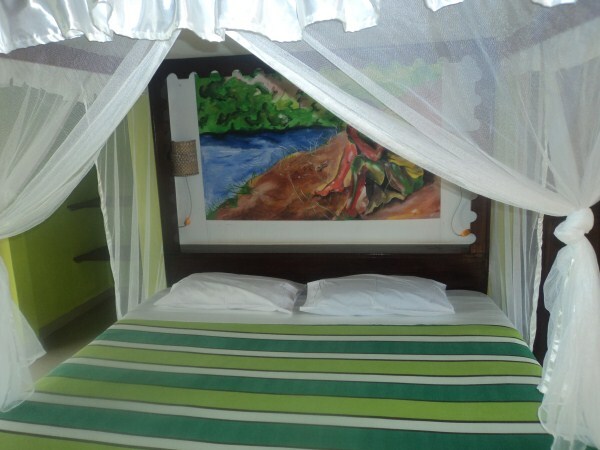 The rooms give you a perfect view of the crater making your relaxation exhilarating. On the other side the view of Mt.Rwenzori ranges, a UNESCO World Heritage Site is such a great sight. 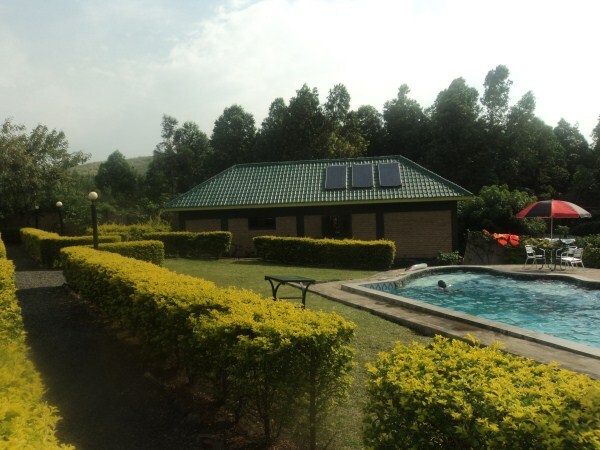 The swimming pool at the lodge, gives you a chance to test your swimming skills as you relax. 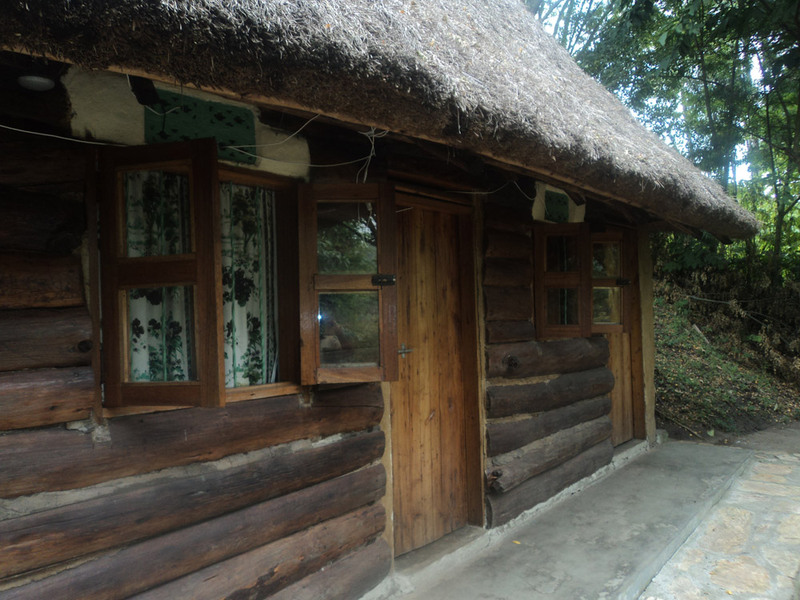 The Italian lodge has fond memories of 1906.The crater area was the 1st climbing of Rwenzori mountain by an Italian prince –Luigi Amedeo in 1906 who reached its peak, and named it after Queen Magherita of Italy.The peak is known as Magherita peak till today. The next destination was Kyaninga crater about 10km from Fort portal town with its popular Kyaninga Lodge (Luxury) which was fully booked for the Christmas holiday. Entry was closed to all visitors but I was able to visit another lodge on the Kyaninga crater rim, Kyaninga Royal cottages (mid- range).The Kyaninga crater rim is now a popular destination for lodge investments and we are yet to see more come up which is good for the visitors. 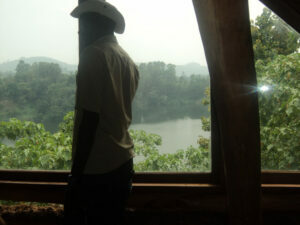 Lake Nkuruba a beautiful lake with abundance forest habitats was another exciting destination on my crater trip. 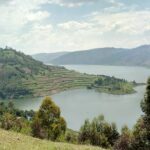 The forest reserve around the crater rim is home to primates that include the Uganda endangered red colobus, black and white colobus, Vervet monkeys and the nocturnal potto. 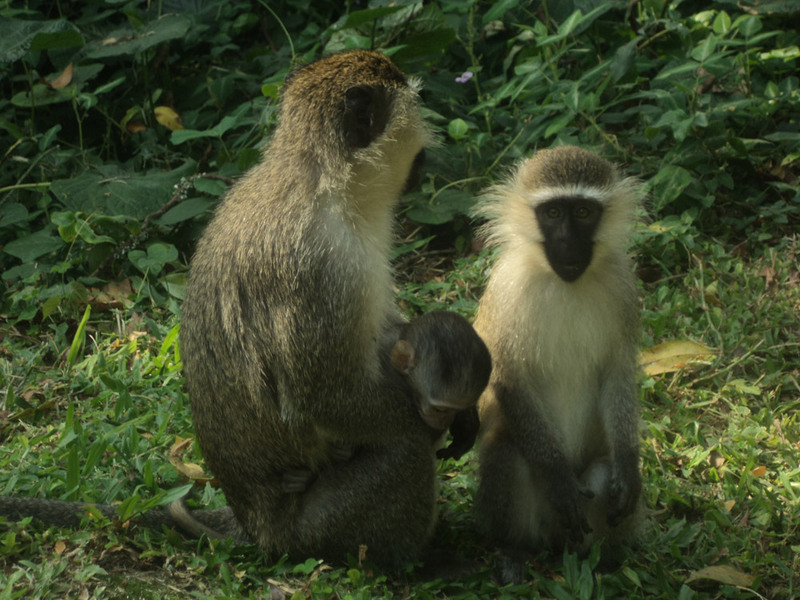 My guide asked me to look out for the young black and white colobus monkey (usually purely white) in the trees, , which is a rare sighting. This can be prize winner for the primate photographers. 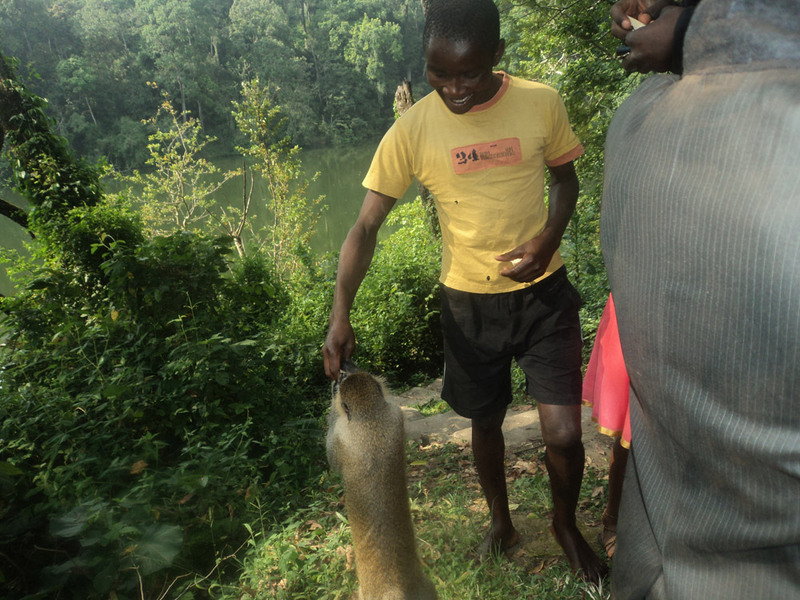 I was able to visit the Crater lake and also enjoy the sightings of the primates in the trees and on the ground especially the fearless Vervet monkeys. 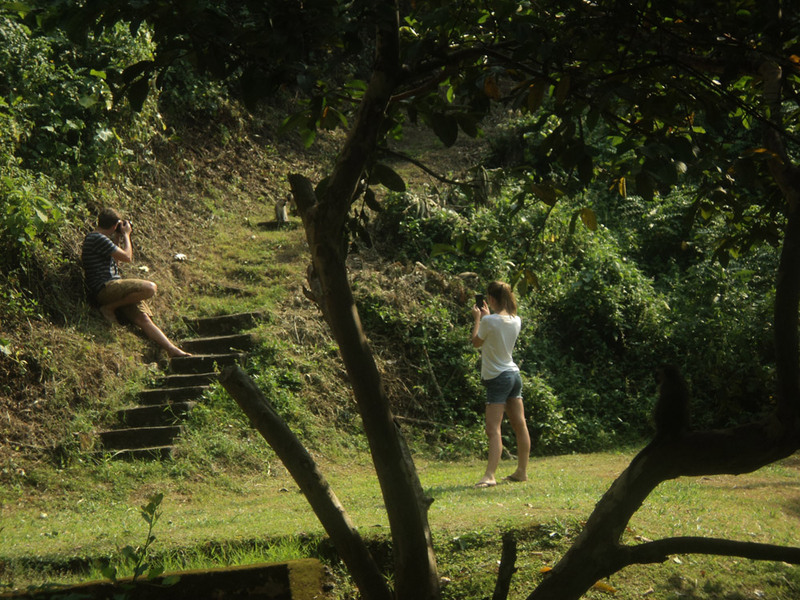 Tourists at the site could hardly miss a photo shot of these primates. The site has budget accommodation,crafts shop and also space for the camping visitor. 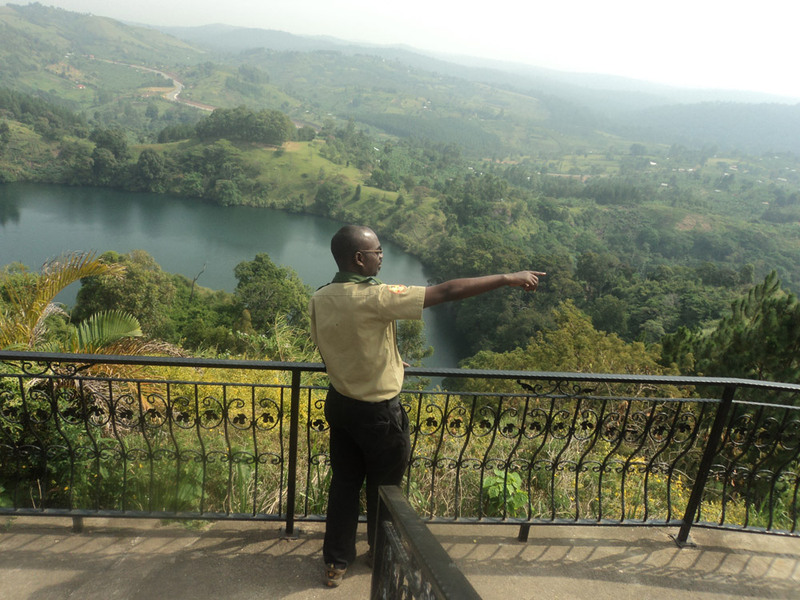 Crater Lake Nyamirima is another famous crater due to its view above the hill. 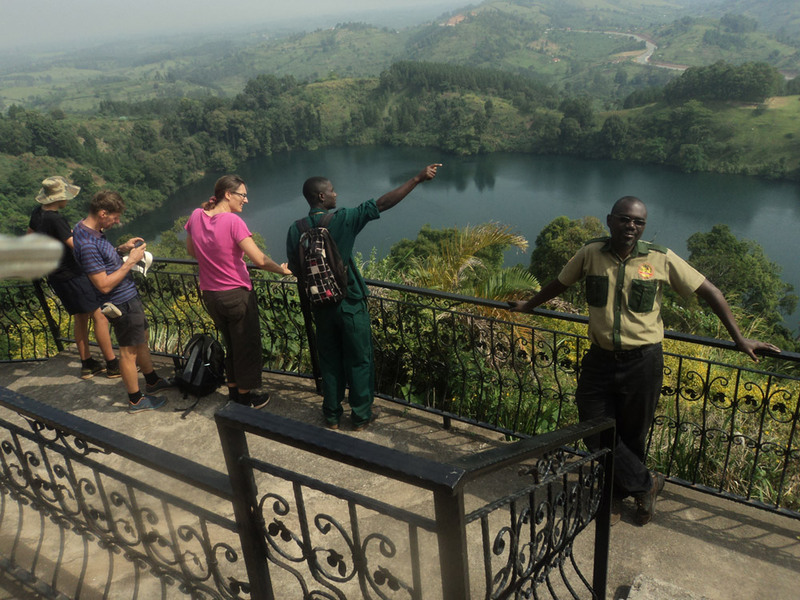 The hill view has been named “Top of the world” because it gives you great views of other crater lakes like Nyinabulitwa and Nyabikere craters and three national Parks namely Kibale Forest N(a destination with the highest concentration of chimpanzees in East Africa), Rwenzori Mountain NP(a UNESCO world heritage site) and flat plains of Queen Elizabeth NP a recognized biosphere reserve. 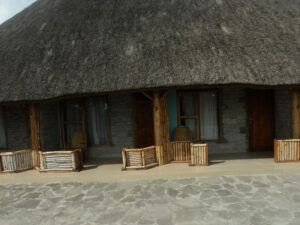 Midrange accommodation for guests is available and the lush gardens are also favourite for camping. Lake Lyantonde ,Nyinabuga and Kifuruka Craters. 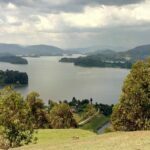 These crater lakes are known to share the crater rim with lovely luxury accommodation for guests namely Papaya lake Lodge , Ndali Lodge and Kifuruka Eco Camp(budget). 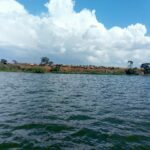 Nyinabuga crater is locally referred to as a twin lake because of its close proximity to Lake Kifuruka another crater seen on the opposite side, just a road between them. 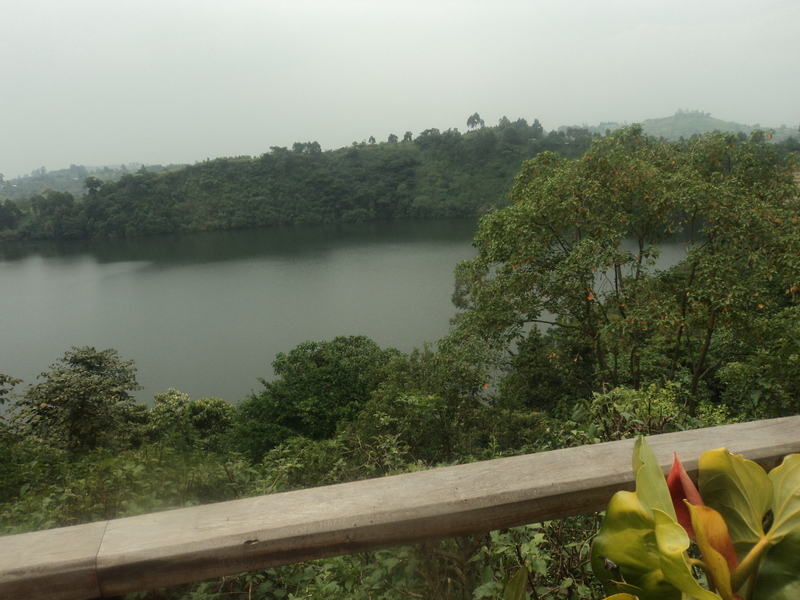 The close proximity of these crater lakes gives you a chance to explore their beauty easily. A visit to the Papaya lodge at Lake Lyantonde is so welcoming. Your private stay at the beautifully designed self-contained cottages will also give you breathtaking views of the lake. 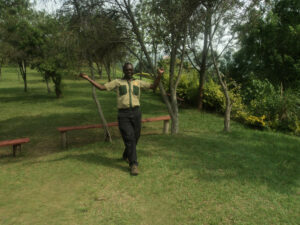 The lush green walk ways also provide you with an opportunity to enjoy the fresh air. It’s pool side is also another relaxing point after a days adventure. 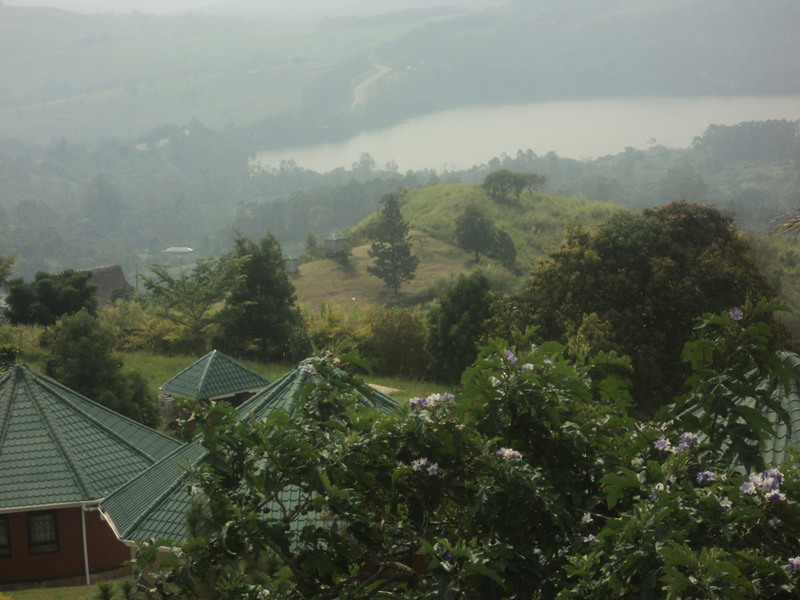 Ndali Lodge on Lake Nyinabuga crater rim was my next destination after Papaya. The founders of this luxury accommodation have fond memories of Uganda. 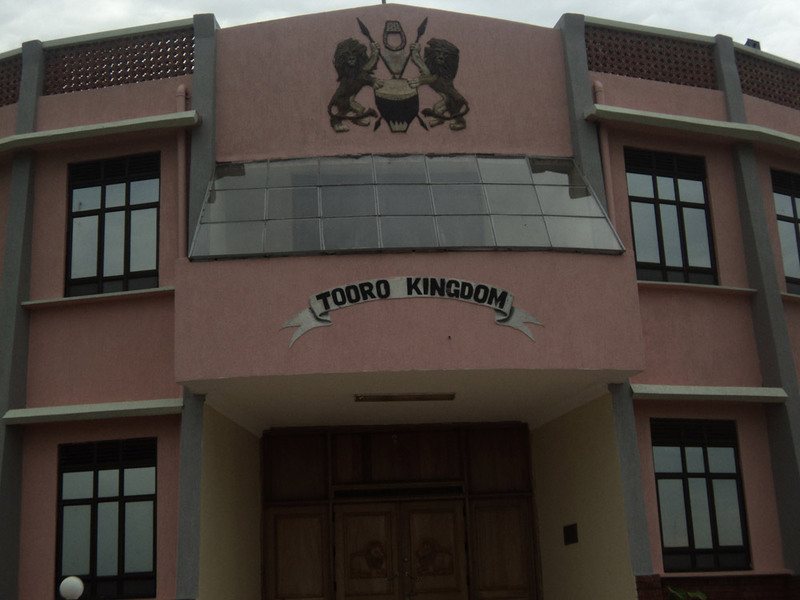 The grandfather of the current owner owned tea estates in Tooro kingdom in 1920s .Grandpa Trevor Price a retired Major in the British Army chose Uganda as his retirement base. 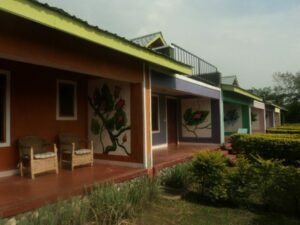 The memories have lived on from generation to generation giving birth to the lodge in the 1990s. Nyinabuga crater is also known as the UGX 20,000 shilling note crater. 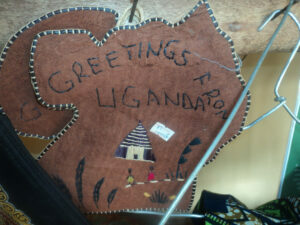 It’s features can be traced on the currency note as shown by my guide Brydon. 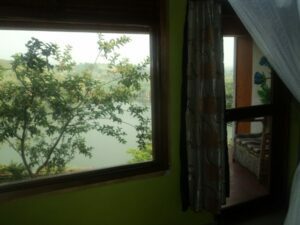 Kifuruka Eco camp overlooking Kifuruka crater is ideal place for the budget traveler. 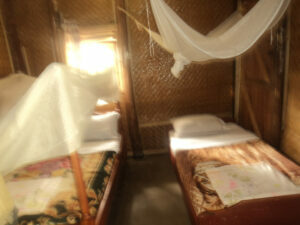 If you are a shoestring budget traveler you can camp on the site. 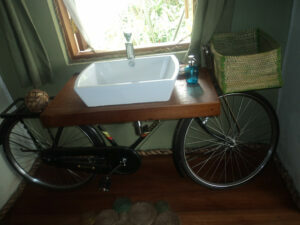 More budget accommodation is available on site for the non- camping guest. 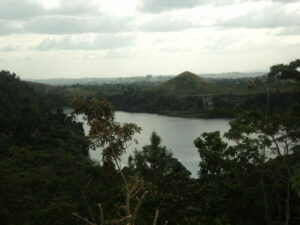 Crater Lake Mwamba, Rukwanzi and Mahoma Falls. 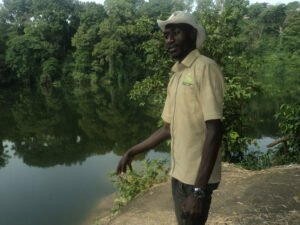 Lake Mwamba is also other crater that can be seen by the roadside as you go to visit Mahoma falls. 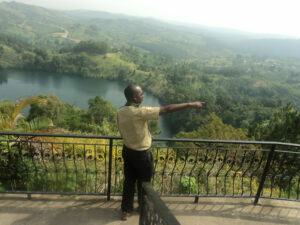 Lake Rukwanzi was visited too. 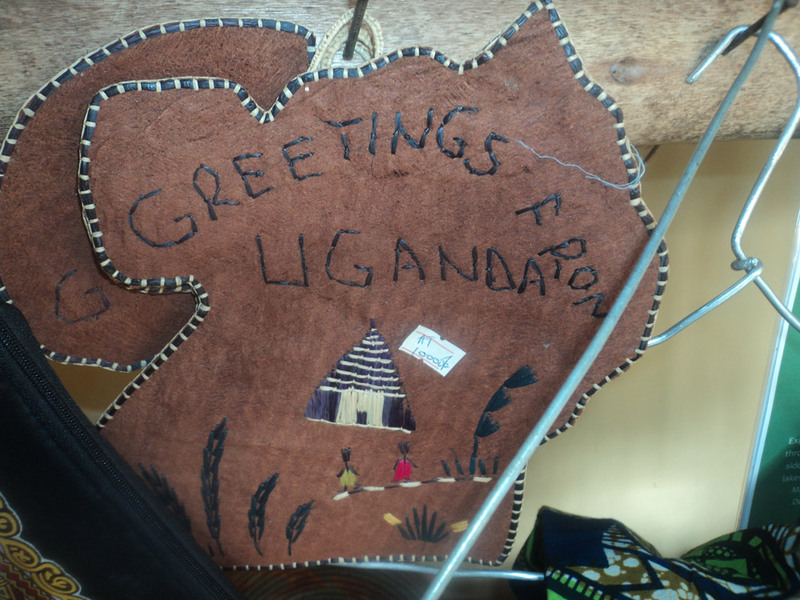 Rukwanzi means necklace i.e shaped like a necklace. 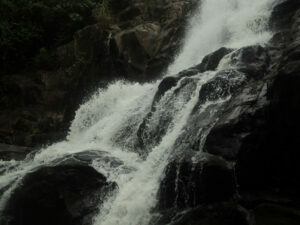 My last destination was Mahoma falls. 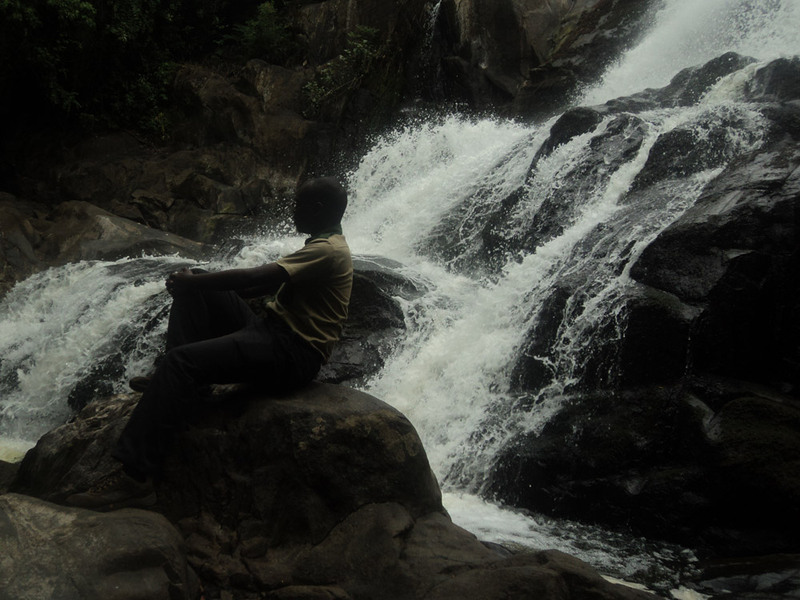 These falls are an ideal place for relaxation, a shower and swimming. To visit these falls you should be physically fit to go downhill and return uphill. 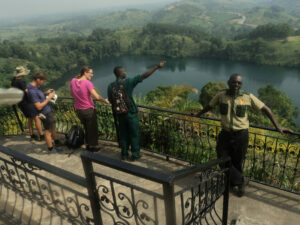 The Crater safari can be combined with a visit to Kibale Forest National Park for Chimp tracking, Bigodi swamp for bird watching, Tea plantation bicycle rides, Queen Elizabeth National Park for game drives and boat rides ,go for a Mini Hike on Rwenzori Mountain and Track Gorillas at Bwindi Impenetrable Forest National Park (UNESCO World heritage Site) home to 50% of the endangered Mountain Gorilla or explore the famous Batwa tribe village trails and other village communities.